Lucca is one of the main cities of art in Italy, also famous even beyond the national boundaries, especially for its undamaged walls of the XV-XVII century, which outlines a perimeter of 4,223 m around the historical nucleus of the city and makes it one of the 4 capitals of the Italian province to have an undamaged circular wall, alongside Ferrara, Grosseto, Bergamo. The same circle which has been transformed since the second half of the nineteenth century in a pleasant pedestrian walk, is still one of the best preserved in Europe today, since it was never used in the past centuries for defensive purposes (note the fact that until the early 90s of the last century, the City Walls were used – thanks to the considerable size of the roadway – as a veritable avenue of the ring road for traffic, even heavier around the city, the only example in the World of walls of this size and with this purpose). 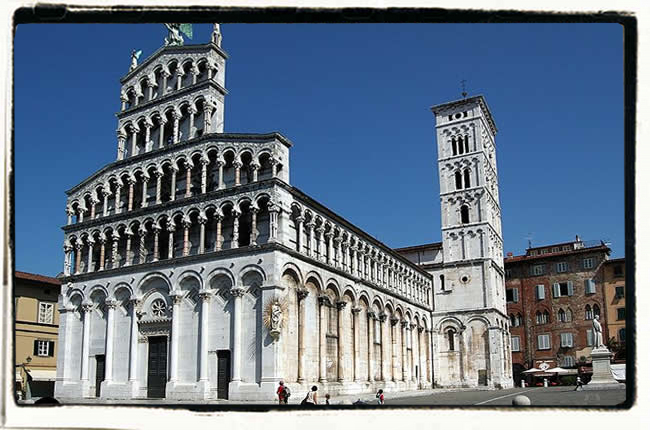 Consequently, the monumental historical center of the city has remained virtually untouched in its original appearance, thus being able to count many prestigious architectures, such as the numerous medieval churches of notable architectural richness (Lucca was even nicknamed the “city of the 100 churches“, precisely because of the presence of numerous churches in its historical nucleus, consecrated and non-existent present in the past now in the city), towers and bell towers and monumental renaissance palaces of precious stylistic linearity. 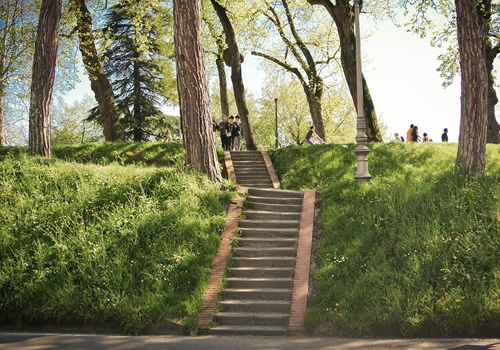 The city also boasts beautiful urban spaces: The most famous is certainly that at the square of the amphitheater, born on the ruins of the ancient Roman amphitheater by the architect Lorenzo Nottolini and unique in its architectural genre. 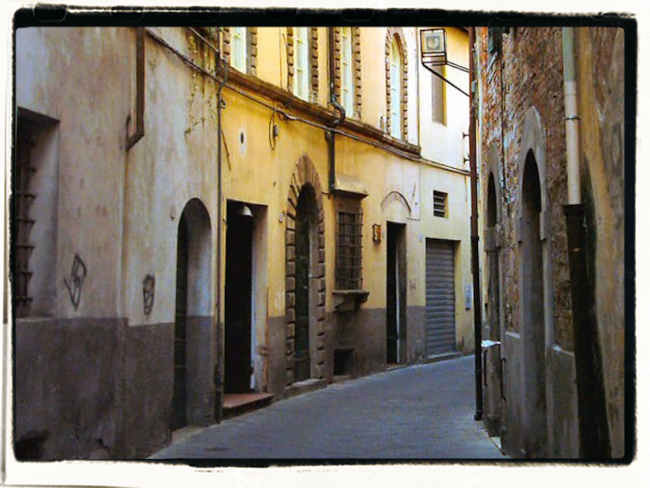 The main artery of the historic city is the narrow and medieval Via Fillungo, which brings together the major commercial centers of the city. Other beautiful squares are Saint Michael square, the historical center of the city and Saint Martin square, a religious center where the famous Saint Martin Cathedral is located. Elisa Baciocchi desired Napoleon Square during her principality, demolishing ancient medieval buildings including a church which was recently restored. With its structure, its trees, the surrounding streets, which surround the central monument, all in symmetry to the Ducal Palace (now the headquarter of the Provincial Administration), is an example of the Neoclassical urbanism of the early nineteenth century. 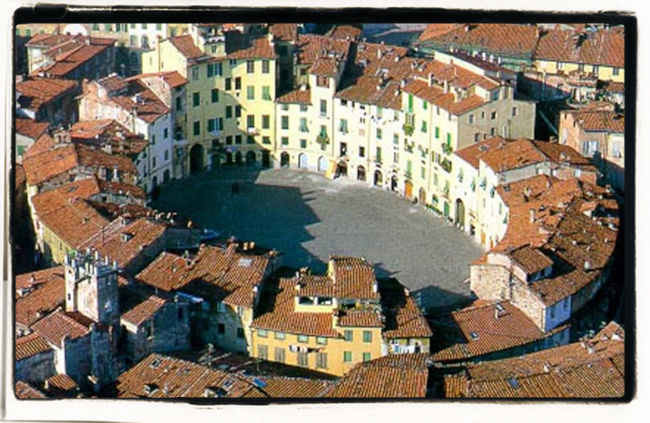 Adjacent is the Square of Giglio where the homonymous theater is located (Theater of Giglio), which is regarded as the theater of tradition. 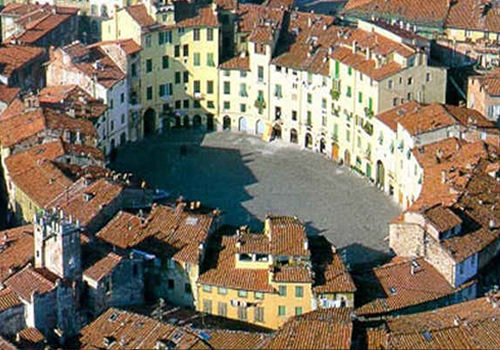 Precisely because of its immense historical and monumental richness, the historic center of Lucca has been recently proposed to be included on the UNESCO World Heritage List. 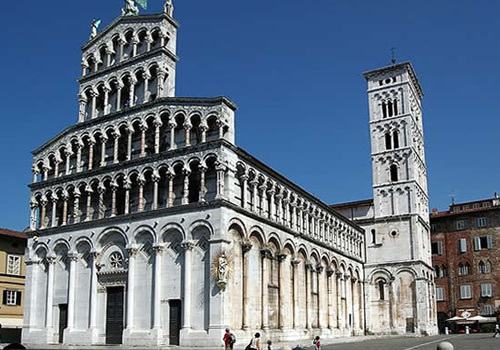 Archaeological site in the center of Lucca discovered in 2010. 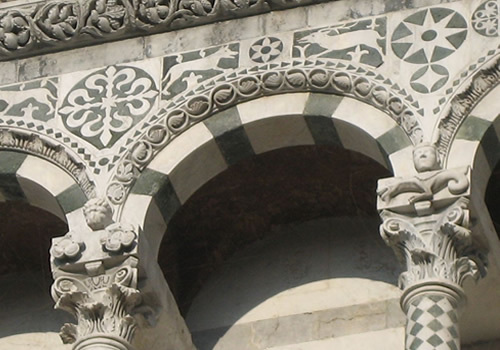 In a unique environment, it is possible to admire the evolution of the construction techniques that took place in 2000 years of history of the city. There are visible walls and Roman artifacts dating back to the 1st century B.C.